Click on a suppliers logo to visit their site and see the ranges of Fabrics and other Soft Furnishing accessories. A British design company renowned for its beautiful fabrics and wall coverings, has experienced a series of exciting changes that have brought the company firmly into the 21st century, in terms of design, product, customer service and approach to business. Blendworth may have 90 years of history but its new, bolder colour palette and contemporary designs represent a ‘quiet revolution’ that is putting the company’s brand firmly ‘back on the map’ as far as its market place is concerned. Over the past five years, the company has expanded its product range and, in addition to creating printed fabrics, silks, velvets and its own range of wallpapers. Camengo shares its inspirations to make your interiors alive and unique. Unconstrained, the brand dares to use patterns and revises the essentials, colour is the driving force. Stylists, colourists, designers, photographers, together, the Camengo team harnesses trends, share experiences and create favourites to transform the eclectic into a life-style. Creator of wallpaper and upholstery fabrics, is renowned for its innovative, luminous and high-quality products. CASADECO aims to create a modern, vibrant atmosphere with its range of products for walls and windows. Specialized in wallpaper since 1996, we decided to apply our knowledge of the interior design to the soft furnishings market in 2008. Our design team is extremely receptive to new ideas, interpreting worldwide trends to create original and dream-like collections. CASADECO is constantly on the lookout for innovative trends. Through the development of new products we aim to enhance our image, surprise our customers, create new moods and styles, and offer a more personalized approach to interior decor. Casamance offers a setting for these priceless moments. The Casamance collections are nourished by many inspirations, each design, texture and colour are the basis for a journey. The colourists and stylists perfect the smallest details to create artistic emotions, unique and exceptional….Everlasting. Revealing the essence of the art of time, timeless art. Sibyl Colefax & John Fowler was established in the 1930’s and by the second half of the 20th century had gained its reputation as the foremost traditional English decorating firm, synonymous with country house style. Still based in the same London town house, the company’s current generation of decorators works internationally and has a world-class reputation. Crowson and Monkwell Group – the home of high quality fabrics and furnishings. Here at Crowson and Monkwell we are passionate about our fabrics and our aim is to provide you, the customer with top quality products and service. We are a privately owned company, run by a dedicated team of people who are each responsible for their own specialist area of service. We hope you enjoy looking at our web-site. As a design led company, Crowson Fabrics is committed to producing the finest range of furnishing fabrics, made to measure blinds, curtains, tie backs, cushions, pelmets and bedspreads. Harlequin is the premier destination for inspirational designs, innovative textures and delicious colours. An eclectic fusion of classic mixed with contemporary, flamboyant married with elegant; Harlequin’s versatile ranges of prints, weaves and wallcoverings offer the most discerning of customers a dazzling spectrum of products – all at accessible prices! The company is firmly established as a leading player in the interiors market: it continues to produce mouth-watering collections at a prodigious rate, as well as forging links with aspirational accessories’ companies to expand its interiors offer. James Brindley began life as a fashion fabric business, launched by the Grafton family in 1936. Today, it celebrates over 75 years of defining the interiors market, with two large stores in Harrogate and Wetherby, a leading interior design service with clients throughout the UK and a worldwide distribution business. Still family owned and run by Mark Grafton and his son Simon, James Brindley has a proud history and is related to the company's namesake, one of the most notable English engineers of the 18th century. Their quest for James Brindley is always evolving and conviction in the brand remains unchanged. Epitomised by an easy-to-live-with tone, each collection offers a broad mix of fabrics, wallpapers and trimmings. Eye-catching wallpapers work across all the ranges yet are strong enough to be used on their own; trimmings are innovative and pretty. With a colour-palette that is constantly evolving, each new collection is always right up-to-the-minute so that, with Jane Churchill, it couldn't be easier to co-ordinate and pull together any look you want for your home. Kobe offers a broad collection of curtain and upholstery fabrics. All our employees have a unique passion for fabrics and wall coverings and consider the innovation and the development of high-quality products of paramount importance. For more than 35 years we have been playing an important role in the interior design and lifestyle sector. Our products are distributed, used by professionals and end users and are greatly appreciated in more than 50 countries worldwide. The company’s acclaimed collections of fabrics and wallcoverings continue to develop in varied, exciting directions, capturing and steering home décor trends in the UK, across Europe and around the world. Founded in 1988 by Trevor Helliwell, the Prestigious Group today reaches a global market supported by trading alliances in over 100 countries. International headquarters is a custom-built facility in West Yorkshire, Prestigious Textiles & Wallcoverings has adhered to its creative foundations, maintaining not only its individuality and vision but also its intuitive understanding of what the customer really wants. The first Sanderson fabric range of printed cottons was produced in 1919. The Sanderson range today includes printed designs on cotton, linen and silk, together with jacquard and dobby weaves, embroideries, sheers and a wide range of plains suitable for curtains, upholstery and soft furnishings. Throughout its long history, Sanderson has continued to produce wallpaper to suit the style of the times. The range today includes bold stylised florals, classic English chintzes, plain textures, smart stripes, trellises and small scale motifs which are printed in the UK. The Sanderson Trimmings collection comprises seven versatile trimming styles including Picot Braids, Wide Braids, Bobble Fringes, Drop Bead Fringes, Pleated Ruffles, Flanged Cords and Beaded Braids. Scion, a refreshing British brand which aims to make its own distinctive mark on the world of interior design. Scion was conceived to fill an obvious gap in the market for an affordable yet uncompromisingly stylish range of interior products. The brand has been created with a trend savvy, fashion aware customer in mind, its products are cutting-edge, accessibly priced and forward looking, but with an enduring appeal and intrinsic individuality. At H&S fabrics we have a wide selection of high quality fabrics offering hundreds of colour options and top quality printed designs. We have collections in plain, woven and printed fabrics within our range of Velvet, Satin, Moire, Slub Cotton, Jacquard Weaves, Linens, Faux Suede and Dupion fabrics. Our print ranges cover the spectrum from traditional floral designs to brightly coloured modern designs. Established in the early 1970’s Today Interiors initially imported specialist textile wallcoverings from high-end European mills. 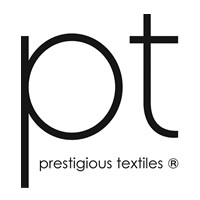 The company quickly gained a reputation for innovative retail and contract fabric and wallpaper collections, distributed on an exclusive basis throughout the United Kingdom and Ireland. The Today Interiors product portfolio has been broadened in recent years to include plush high-performance velvet furnishing fabrics from Italy, weaves from Belgium, and designer wallpapers sourced in Europe and the United States. Vanessa Arbuthnott has been sharing her vision in designer fabrics for over thirteen years. Combining a rustic aesthetic with an urbanite's eye for style, her designs have been featured throughout the international press and in almost every magazine imaginable. Warwick Fabrics UK are creators of exclusive furnishing fabrics for domestic and commercial interiors. We have been supplying fabrics to the trade for 25 years, winning the Queens Award for Export Achievement in 1993. We offer classic and innovative design complemented by a wide selection of plains. Our focus is to be in stock and to supply our fabrics at great value. Whilst upholstery is our strength, our selection of decorative and curtain fabrics is increasing. Wemyss location incorporates a purpose-built warehouse, sales office, design and technical studio offering trade customers a friendly and efficient service. The Wemyss trade showroom is located at Chelsea Harbour Design Centre, the focus of excellence for interior design in London. Design is key at Wemyss and we work closely with Natasha Marshall to create wallpaper and fabrics for our customers that are at the forefront of design. William Morris (1834–1896) was the single most influential designer of the nineteenth century. Under his direction Morris & Co. grew into a flourishing and fashionable decorating firm renowned for its wallpapers and textiles. Today Morris & Co. guarantees authentic versions of those designs alongside new interpretations, using innovations in printing and weaving technology to create up-to-date fabric and wallpaper designs with timeless appeal.